The Municipality of Tweed is seeking volunteer members for a volunteer Recognition Committee (VRC). The Committee's role is to promote volunteerism by increasing awareness of contributions made by individuals throughout the Municipality of Tweed. 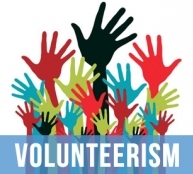 There are numerous volunteer award programs in Canada at the national, provincial, and local levels. These awards recognize the immense impact volunteers have on our communities. The VRC will seek award opportunities and nominate individuals for specific categories who have made a tremendous difference in our community through volunteering.